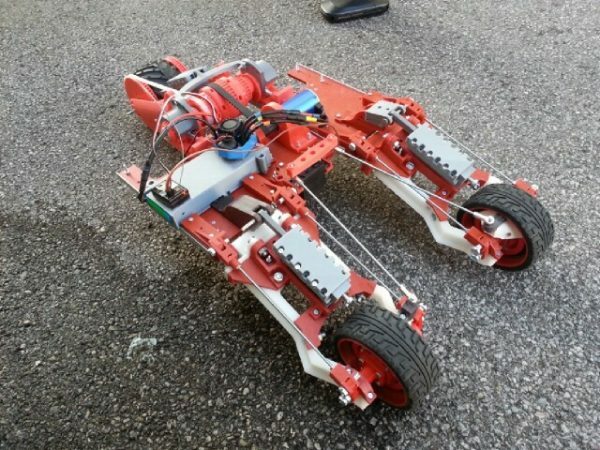 Easy’s RC vehicle project #3DThursday #3DPrinting « Adafruit Industries – Makers, hackers, artists, designers and engineers! It’s been one year since i broke it and 3 years since i first began this project while i was studying technical product design. I couldn’t design something without putting some exccentricity to it. I took some ideas from command & conquer and the front wheel design ist a copy from a Bimota Tesi but most people identified it as an abstract Batmobile replica.